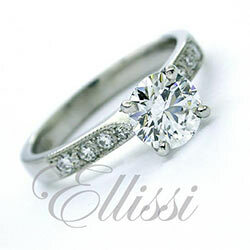 A singular marquise diamond set with claw and “V” cap ends. This is the side view of the ring. 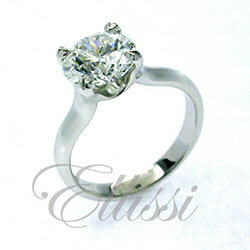 This was a large diamond so additional claws around the central stone are required to give stability to the setting. Diamonds of size, 3 ct in this case, require more attention to setting construction to ensure problems do not arise.